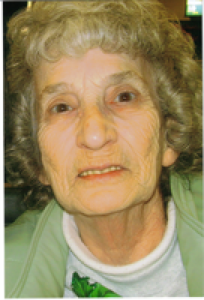 Viola Tuttle, 71, 228 S. Miami Ave., Sidney, Ohio died at the Sidney Care Center, 510 N. Buckeye Ave., Sidney, Ohio on Saturday, January 27, 2007 at 8:15 PM after an extended illness. She was born July 7, 1935 in Lakeview, Ohio the daughter of Lewis Earl and Grace Marie (Teach) Tuttle. They are deceased. Surviving are two children, Steven Tuttle and wife Nellie of Bellefontaine, Ohio and Douglas Tuttle of Sidney, Ohio and six grandchildren and three great-grandchildren. One sister survives, Leola Kirkpatrick of Bellefontaine, Ohio and one brother, Leland Tuttle of Bellefontaine, Ohio and one half brother, Hally Lee Simmons. One daughter, Pamela and six brothers and sisters are deceased. She was a member of the Salvation Army, Sidney. She was retired from the Copeland Corp. as a welder retiring in 2006. Funeral services will be held on Wednesday, January 31, 2007 at 2:00 PM at Salm-McGill and Tangeman Funeral Home with Major Herb Carter. The body will be cremated following the funeral service. Friends may call at the funeral home on Tuesday, January 30, 2007 from 6-8 PM. Memorial contributions may be made to the Salvation Army, 419 N. Buckeye Ave., Sidney, Ohio 45365. Envelopes will be available at the funeral home.